IDEAL PARA HARRY POTTER 15 MINS Y EUSTON LONDON EN 30 MINS. LOCAL A M1 Y M25. Apartamento grande decorado con buen gusto, cálido y acogedor con hermosas vistas al canal. A 5 minutos a pie de la estación de tren de Apsley, una ruta directa al centro de Londres en 30 minutos. También a poca distancia de la M25 / M1. Una base perfecta si estás visitando los estudios de Harry Potter. Localmente, a poca distancia a pie, hay 3 restaurantes y un hermoso pub / restaurante con vista al canal. El apartamento tiene 2 dormitorios / 2 baños y muchas características adicionales, como una nueva TV inteligente, Wi-Fi, canales de películas de NOW TV, canales de deportes, x-box, mesa de fútbol, juegos infantiles y teléfono, un verdadero hogar lejos de casa. Toallas y ropa de cama incluidas. Nuestro apartamento es perfecto para profesionales, familias, adolescentes o niños pequeños. Solo se puede acceder a la escalera, así que tenedlo en cuenta. Lamentablemente no es adecuado para usuarios de silla de ruedas. El dormitorio principal tiene una cama de matrimonio con baño privado, TV y 2 armarios empotrados dobles más tocador. El segundo dormitorio tiene un armario triple y 2 camas individuales, o podemos juntarlos, para hacer una cama súper gigante. También tiene un tocador. También está el baño principal de la familia. También tenemos una cama plegable, adecuada para un niño / adolescente. Si necesita una cuna y una trona, pregunte, ya que puedo suministrar ambas, ya que no están en el apartamento. La cocina / comedor es completamente funcional y está equipado con un nuevo lavavajillas / lavadora / vitrocerámica y horno. Mesa de comedor y 5 sillas. Todos los elementos esenciales de la cocina y mucho más están incluidos, incluido un paquete de bienvenida con leche, pan y bocados. Tanto el baño y baño principal, tienen un baño, ducha, lavabo, WC. Sue was an amazing, friendly, and accommodating host. 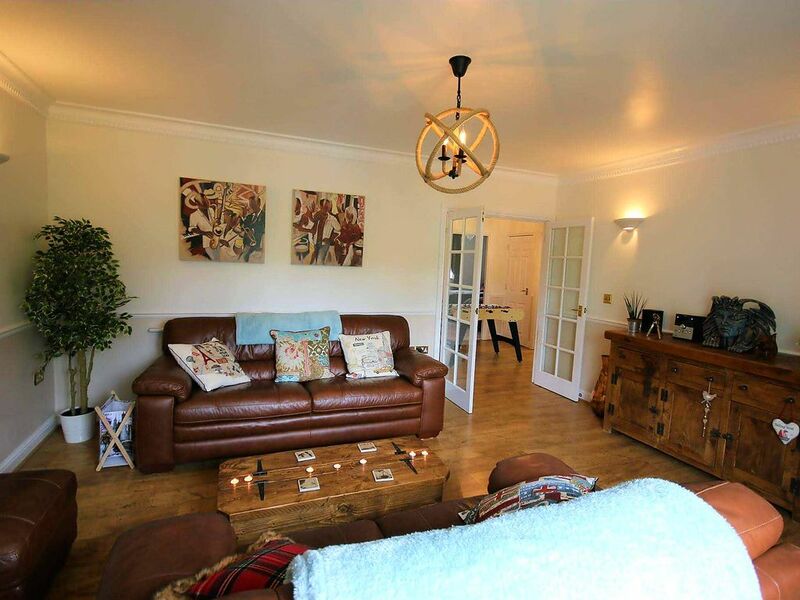 Her flat had a great layout that was delightfully decorated and well equipped. The location was scenic and with a charming ambiance. It is a hop, skip, and a jump to a great pub and train station. If I am ever in London again this would be my first choice of places to stay! We really enjoyed our short stay in this well equipped property, a real home from home. The location meant it was easy to reach London, and our day in St Alban was a delight. Thank you Peyer, so glad you enjoyed your trip. We had an absolutely wonderful stay at this lovely and cosy apartment. It had everything you could possibly need when away with kids: and more. From plasters to nail vanish remover: Anything our girls needed, seemed to be catered for. A lovely welcome from Sue. Lovely local pub/ restaurants nearby. Comfortable beds. Thank you Matthew and Sarah for the lovely review. So pleased you and the girls had a great time. Hope to see you again. It was an amazing experience, Sue is so welcoming, her property is just perfect. We are a family of 5 and we fit very comfortably; it was home away from home. Very well equipped and close to the train station, great location. Thank for your lovely review. We loved having you to stay and hope to see you and your family again. Besser kann man mit 3 Kindern nicht wohnen, um London City zu erkunden! Eine luxuriös ausgestattete großzügige Wohnung mit Aussicht auf den Kanal. 2 sehr schöne Schlafzimmer, 2 komfortable Badezimmer, ein wundervolles Wohnzimmer und eine moderne stilvolle Küche lassen keine Wünsche offen. Nach 5 Minuten Fußweg ist die Bahnstation Apsley erreicht, die direkt nach 30 Minuten Fahrt in London Eusten (London Nord) endet. Die Vermieterin Sue ist überaus freundlich und steht den Gästen mit Rat und Tat zur Seite, hilft mit Tipps und Zusatzinfos. Wir haben unseren Aufenthalt sehr genossen und nur bedauert, dass die Zeit zu kurz war (3 Nächte). Sue was super helpful and accommodating. She set up the space and even provided some snacks to get us started. Her place was very clean and conveniently located next to a train station for easy access to the city. Great little pub/restaurant right across the way and a small grocery store in the complex. It was super helpful to have parking available as well. If I have the opportunity to come back I would love to stay with Sue again!